A multifaceted artist, Piero Ricciardi draws on a technical background in the comic theatre, the world of clowns, physical theater and a range of circus techniques. He studied at the Circus School of Granada "Circo de las Artes", and then began his journey in the world of theatre by studying: physical theatre and mime with Yves Lebreton; clown with Pierre Byland, Leo Bassi, Vladimir Olshansky, Peter Shub, Andrè Casaca, Merche Ochoa, and Emmanuel Lavallee; street theatre with Peter Weyel; the Commedia dell'Arte with Carlo Boso, Michele Monetta, Eugenio Allegri and Onda d’Urto Teatro; acrobatic dance and objects manipulation with the French circus company Rital Brocante; and comic theatre and masks with the theatre company Familie Floz, Jacob Olesen and Isaac Alvarez. He performs in town squares as well as theatres, often in the context of festivals in Italy and Europe. He regularly collaborates with La Marlon Banda, the Reggae Circus of Adriano Bono, and the Oggetti Smarriti Teatro theatre company. 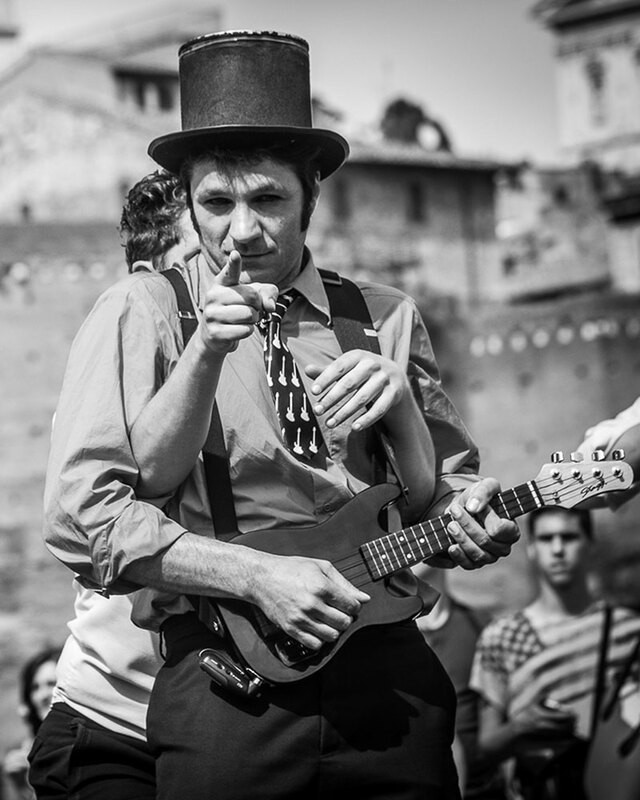 He conducts workshops of street theatre, clown and objects manipulation in Italy and abroad. He works as a trainer for the artistic and educational projects of the various associations of the international INCA Network. His style is based on the sense of wonder, play and surprise. His performances are accompanied by Swing and Rock 'n' Roll music and have very special atmospheres. These shows are always fun, mischievous and cheeky, and the spectators are constantly encouraged to get involved.